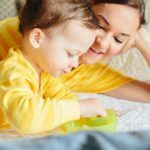 I mentioned that we were trying Baby Led Weaning with Leyton a while back and since a lot of other moms had questions about it, I thought I’d give an update on Leyton’s eating habits at 9 months. He still has no teeth, so that makes it hard for him to be able to chew and get smaller bites of some things. Once we introduced foods, Leyton would projectile vomit sometimes and let me tell you, it was not a pretty sight. I asked my doctor about it and he said that some baby’s have a stronger and further forward gag reflex than others and that may be the case for Leyton. For an example of a typical day of feeding for Leyton…yesterday he had breast milk for breakfast and then a bit of oatmeal (which is not his favorite), Organic Apples and Kale for lunch followed by breast milk, Gerber Lil’ Beanies in Broccoli and Cheddar for a snack and then ate off my plate at Jim ‘N Nick’s for dinner including mac and cheese, salad, cheese biscuits, and baked beans, then finished the evening with breast milk before bed. We are lucky in the fact that he will try pretty much anything at this point. Let’s hope that it continues. 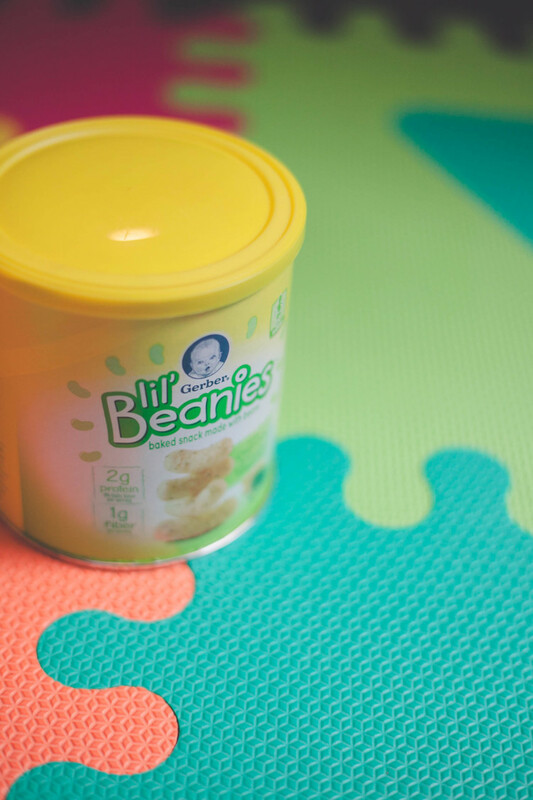 We recently discovered Gerber Lil’ Beanies while shopping at Target. They come in Original and White Cheddar and Broccoli. I’d love to have you check out these snacks via clicking the links and letting me know what you think. They have no artificial flavors, colors or preservatives and are non-GMO. I was excited to see these snacks are made out of beans and also have a few grains of protein in them as well. What’s great about these snacks? 2. They dissolve quickly so not as much of a gag reflex happens. 3. They don’t melt in the blazing hot summer so they make for a great pool snack! 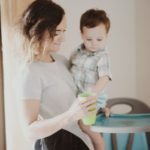 I know us mommas are always looking for a healthier option that will stand up to the test of a pool run, so this is a great new option to have for your baby or toddler. 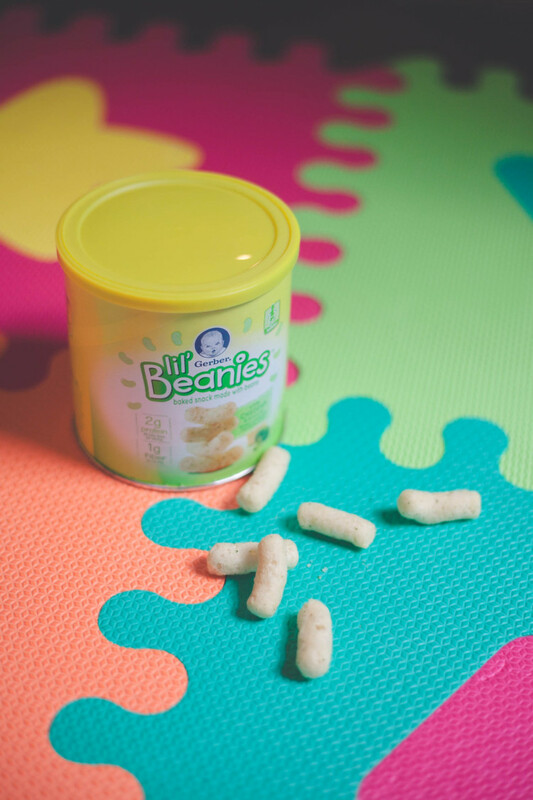 Please visit Gerber’s Lil’ Beanies site HERE and let me know which flavor your baby would want to try first? 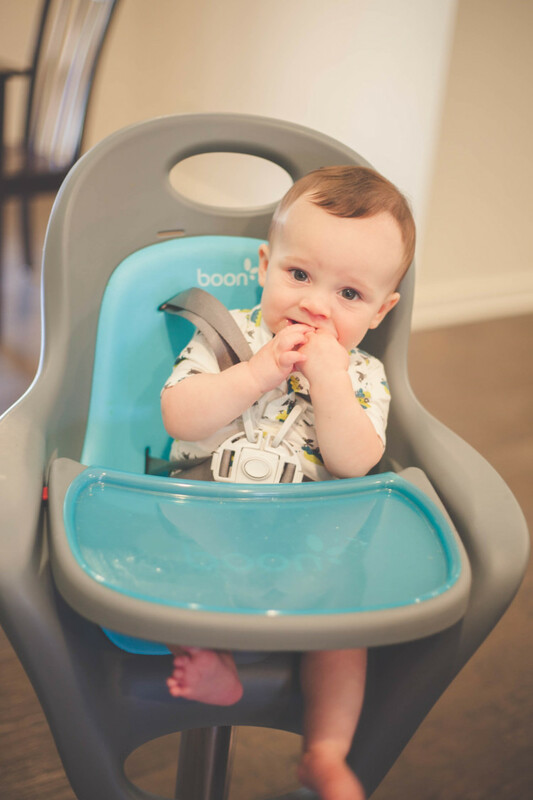 What pool snacks and foods does your baby love? Thanks to Casey Marie Photography for these photos. Parenthood is definitely adjustment along every step. Every kid, every stage varies. My son got his first tooth at 10 months. He’s almost 7 years old now and eats so well – my veggie lover. My daughter got her teeth earlier, but has been a much pickier eater. They both like the Lil’ Beanies snacks though so I’ve been tossing them in the diaper bag for every outing. Ainsley loooooved those when she was younger!!!!!!! Looks like Leyton liked them! a pool snack that doesn’t melt is always good! I packed some fruit snacks the other day and they turned into a melty mush…super messy too! Sawyer loves Gerber Lil’ Beanies! White Cheddar and Broccli is his fav! What a neat snack! Our grandboy just began experimenting with baby food (he’s 7 months) and it’s hit and miss. Apparently pears are out and peas are in… hmmmm… I’ll have to forward your post to his mama. Thanks for the insights. Lori, you are so sweet! I’m so glad I got to meet you too and I can’t wait to read your book and share it with my husband. Haha, babies are so interesting to figure out…likes and dislikes, etc.